The Department of Geology at the University of Maryland is growing stronger every day. We're recruiting world-class faculty and talented students. Our prolific research teams are making discoveries in traditional Geology and exploring new frontiers in rapidly emerging fields. We have one of the best Geochemistry Programs in the world. And we're all working together to become one of the top Geology Departments in the nation. But, to reach this goal, we need your help. In this tight economy, the support of alumni and friends like you is key to our success. Your contribution is sincerely appreciated. Your tax-deductible donation will help us strengthen our program with faculty and student recruitment tools, state-of-the-art facilities, and enhanced fieldwork opportunities for our undergraduates, as well as innovative outreach programs. The Geology Operating account provides funds that are immediately accessible to be spent for critical needs. 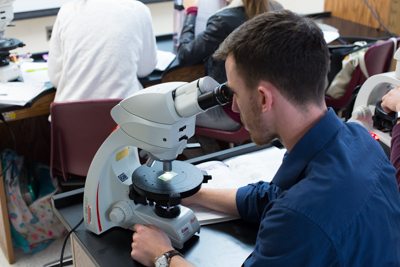 Funds from this account have been typically used to support undergraduate scholarships, including field camp, as well as teaching equipment, such as modern petrographic microscopes. Giving to this fund provides immediate support to the Department. 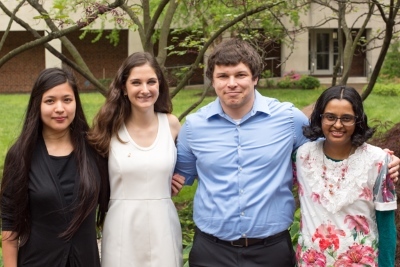 The Geology Student Endowment was created in 2015. It will one day grow to provide an annual income that can be used to help fund a variety of endeavors including undergraduate scholarships and field work, awards, teaching supplies/equipment, and undergraduate and graduate student attendance at scientific conferences. Giving to this fund is an investment in the future.